Boran cattle in Yabello, Ethiopia (photo credit: ILRI/ Camille Hanotte). A majority of rural households in Africa keep different livestock species. But only a small proportion can afford to keep good quality livestock. This is mainly due to a combination of low government funding and the poor policies of external funders. Those that do have livestock are faced with the challenges of infectious disease and ill-conceived breeding programmes. This means that they rarely achieve optimum production to meet their household’s economic and nutritional needs. Households that keep livestock earn higher incomes, accumulate more wealth and consume more animal-sourced foods. They are also more able to pay for healthcare than households without animals. I grew up on a small farm in rural Kenya. Although my parents earned government salaries working as civil servants, my education was largely paid for by my father’s livestock herd. My story is not unique. Many families in sub-Saharan Africa sell off chickens to pay for minor health care costs and larger livestock, such as cattle, to meet major financial demands such as schooling for their children. My cattle-funded education allowed me to become a research veterinarian and study the economic and health benefits of livestock ownership. Our studies show that children who regularly eat eggs grow on average 5% taller than those who do not. Children who consume milk regularly show a 10% higher monthly height gain compared with children without access. One third of children in sub-Saharan Africa are stunted and 5% under five years old suffer from acute malnutrition. Considering all these factors, there is a clear need for good policies that would allow households to own livestock. Yet less than 10% of most national budgets go to agriculture. And a tiny proportion of that meagre investment is directed to the livestock sector. With many African governments failing to take the issue seriously, donors end up directing policy through the projects they fund, with often ineffective and wasteful results. There are solutions to this problem. This includes policies that increase investments in veterinary services so they reach populations that cannot afford to pay for them. Or investments in breed improvement of livestock species adapted to local environments. Portrait of a Boran cow in Yabello, Ethiopia (photo credit: ILRI/Camille Hanotte). An example of a bad intervention was the Structural Adjustments Programs of the 1980-90’s. These were imposed on governments in developing countries in exchange for funding from the World Bank and the International Monetary Fund. One impact they had on livestock was that veterinary services were moved from the public to the private sector. This meant farmers had to meet the full cost of these services. While this seemed to work in areas such as the highlands of East Africa, where the dairy industry and entrepreneurship were well established, small-scale farmers in other rural areas were hit hard. Around the same period, major crossbreeding programmes were introduced by African governments with funding from partners. The programme mixed genes from temperate climate exotic breeds with indigenous animals. A classic example is the cross between the European Holstein Friesian and the African Zebu cattle. The cross-bred animals produced more milk but were also more prone to falling sick from tropical diseases because they lacked natural resistance. These programmes performed better in settings where farmers could invest in disease control. But where this was not possible, they were a disaster. Our previous studies suggested that over time breeding programmes in Western Kenya failed because of the pressure of disease. As soon as donor-funded programmes ended and disease control measures lapsed, natural selection kicked in. The animal populations reverted back to indigenous cattle as the exotic animals succumbed to disease. Today, similar initiatives give rural families cows as gifts to start them off in livestock farming. But many of these donated animals are breeds originally from temperate regions with low immunity to local diseases. The programme’s successes are often measured by the number of cows donated and immediate access to milk, which are great short-term measures. But they are rarely successful in the long-term. In the absence of sustained disease control, the end result is almost always the deaths of animals and continued poverty. A more sustainable solution would be to use well-adapted African cattle to improve the indigenous gene pool. It would certainly help rural areas where progress towards poverty and hunger alleviation is slowest. But this would take much longer than quick fix cross-breeding or cow donations. 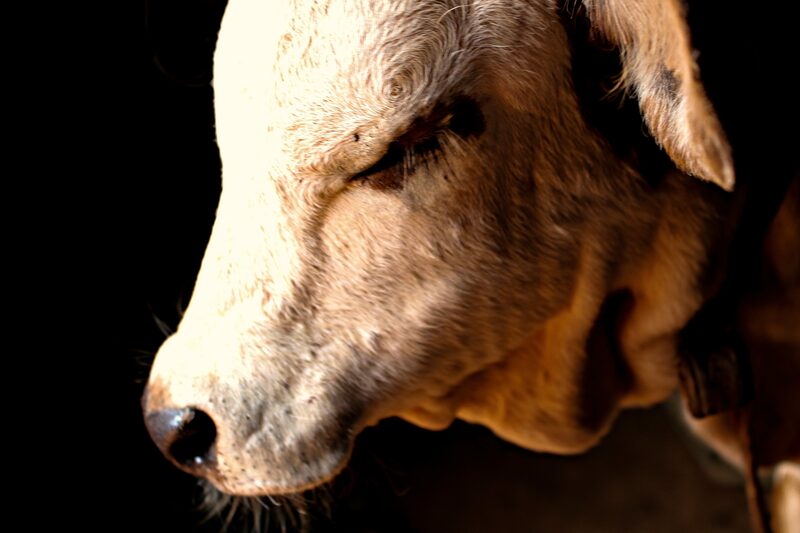 Portrait of a Boran animal in Ethiopia (photo credit: ILRI/Zerihun Sewunet). There’s an example of this working well. 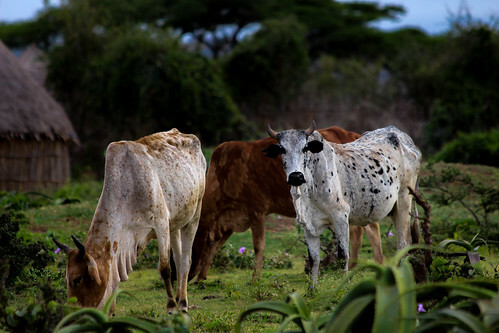 The production of the Boran cattle found in Kenya, Ethiopia and Somalia was significantly improved after the best performers were selected and the genes propagated. 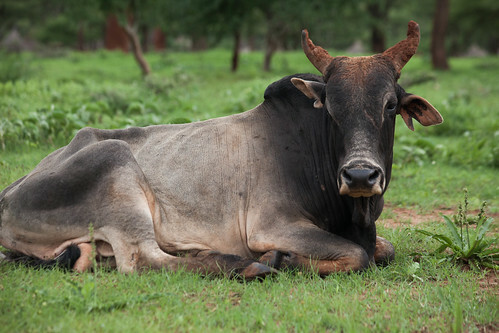 To date, the improved Boran cattle is a favourite beef breed for ranchers in many countries in Eastern and southern Africa. It is prized for its relatively high disease resistance, growth rates and production. There is no one-size-fits all solution to address low income levels, malnutrition and disease that affect many communities in rural Africa. But for some at least, owning livestock with optimal production offers a pathway out of poverty. Tags: The Conversation. Bookmark the permalink.